To start, Hostmonster is a sub brand of Bluehost, but with different marketing. This is a common American advertising tactic. Sub branding allows companies to occupy a larger segment of the market, where the competition is fierce. Our first impressions of the hosting provider website are all positive, and we can immediately see the awards the comapny has won. 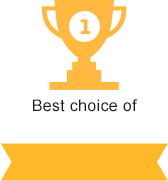 ("Best Unix Hosting" and "Best Support Service"). For the record, Linux (Unix) hosting is one of the most popular services on the market. Their users numbers are only continuing to grow. It should also be noted that hosting providers of other countries only dream about those numbers. Now for the best part - the pricing plan - which gives you a ton of unlimited options. Among them: unlimited space for websites, and an unlimited number of domains, databases and e-mail addresses. If you pay a year in advance, then all this will cost you only $ 4.95 per month. Also note that Hostmonster gives you a money back guarantee anytime, minus the time period you have already used their services. There is no free trial period, but there is a moneyback guarantee as mentioned above. Registration is standard, and should be a breeze for English speakers. Like most American providers, Hostmonster services can be paid via credit or debit, or through PayPal. The control panel has the ability to select a language. The rest is standard. Technical Support is one of the biggest upsides to choosing this hosting provider. Support is available by phone, via e-mail, and through the control panel. But the best is their LiveChat option. With their help, you can solve almost any issue within a few minutes. And most importantly, the employees of LiveChat do not redirect your request to another service, as do other hosting providers, but solve the problem on their own, and fast! Hostmonster is one of the best choices in the US hosting market in terms of price/quality, and this ratio is much better than most other American and European companies. 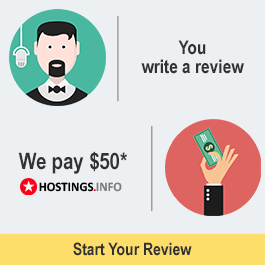 What is written about in reviews of HostMonster.com most often? For me HostMonster.com is an average webhost, I have used their service for my clients They have user friendly interface and providing good support, The speed is good and service is reliable. Features are almost similar to Bluehost. Good for Wordpress hosting. Bad thing is the support take time if you have complicated issues and the price are good only when you buy a three year plan. Having used this service for about a year now, I have to admit that it's perhaps the best hosting service I've ever used. No downtime at all, very polite staff, and extra fast support for anything crazy I've asked so far. I really love . Thank you HostMonster, people. Highly recommended!!! Although site interface may look confusing or even a bit outdated, I loved working with them. Convenient control panel, all required servises, my client (whom I've helped with a hosting set-up) loved the fact that he can choose between the three options for WebMail. Had to contact support several times - cannot say that they solve issues in a blink of an eye, but they are trully willing to help and do all best to find the info you need. What I did not like much is the site itself - no links to come back to the front page, a lot of features are still under development and knowledgebase is so confusing. But still you can either call, or chat and get help online, which is time saving. This may be a good choice as a hosting plan, I think. An excellent choice. Tech support answers very quickly. Really a monster! Excellent hosting! Only positive experience with this hosting. Decent technical support, reasonable prices and most importantly no problems! I would recommend to everyone, you won't regret it! Excellent hosting! Technical support works perfectly. I've already used this hosting a month - the speed is excellent, well done! Monster - really great hosting! Excellent hosting! I'm totally satisfied!